Breaking news surfaced on Wednesday when the NCAA released its Academic Progress Report (APR) for all Division I athletic programs, and a whopping 10 men’s basketball teams are now banned from the 2012-13 NCAA Tournament after failing to reach the required APR average score of 900 over the last four years. The biggest name on the list, and the only power conference school to ever receive a postseason APR ban, is Connecticut, which recorded a four-year score of 889. But none of this was news to the Huskies, a school which had already lost an appeal this offseason for inclusion. The postseason ban is just one of many pieces of bad news that UConn has received this offseason, which has put the future of UConn basketball in serious doubt. Your 2011 National Champions have struggled on and off the court since that wild run two springs ago sparked by Kemba Walker and company. 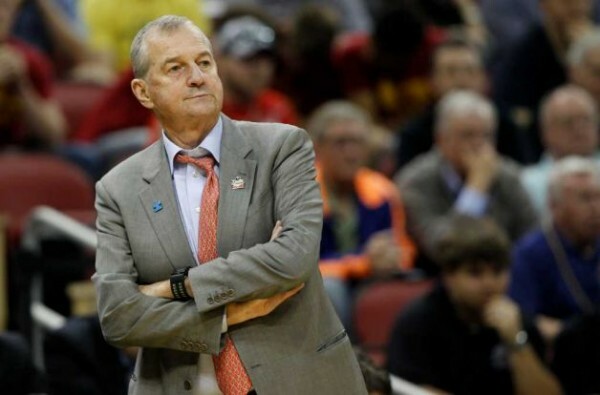 Transfers, violations, firings, underperformance, and bans have dominated the news cycle around Storrs and 70-year-old future Hall of Fame head coach Jim Calhoun remains on the fence about coaching his team for much longer. Where does UConn go from here, and what can we expect from the Huskies on the court next season? Connecticut basketball has been nothing short of a disaster since hauling the National Championship trophy two seasons ago. While that year’s historic run of 11 straight postseason wins is forever engrained in Storrs lore and perhaps fans can accept a few years’ grace period after winning a title, it’s still hard to believe how quickly things have fallen. UConn entered 2011-12 as the Big East preseason favorites but struggled to a 20-14 finish, playing through multiple suspensions and the extended absence of Calhoun due to rules violations and health reasons. The team lost its first round NCAA Tournament game to Iowa State in convincing fashion, and things have only gotten worse since that game in March. Top talents Jeremy Lamb and Andre Drummond both declared for the NBA Draft, and forwards Roscoe Smith, Michael Bradley, and Alex Oriakhi all transferred out of the program, leaving major holes in the roster. The team is ineligible for both the 2013 Big East and NCAA Tournaments after poor academic performances in the past four years. Recruiting has been understandably difficult, as the school remains a questionable short term destination for prospects. There’s a brand new athletic director (Warde Manuel) on campus who has yet to implement his long-term strategy. And perhaps most importantly, Calhoun remains uncommitted to his future on campus. The 70-year-old has two more years left on his contract and certainly does not want to leave the program in chaos, but the future Hall of Famer will probably not stick around much longer no matter what situation the team is in. Adam Zagoria came out with his Big East All-Rookie Team for this year and while some may say it seems a bit early to be locking in what are traditionally postseason honors, how can one not want to talk about the “Diaper Dandies” of this league? Depth of talent has long been a trademark of the Big East and it is difficult to recall a season in which so many newcomers have played such integral roles on their teams. This is due in some part to the fact that the conference underwent a youth movement coming into the year with many teams restocking with big freshman classes. Handicapping the Big East coming into the year proved particularly difficult given the youth factor presented by many teams in the league. This is also why it is not surprising that some of the more experienced teams, particularly teams with multiple key junior and senior leaders such as Syracuse, Georgetown and Marquette, are finding higher ground in the standings while the youngest teams such as St. John’s, Rutgers and Providence have displayed predictable inconsistency. However, as illustrated by Zagoria’s list, squads up and down the conference have fantastic building blocks for the future getting valuable experience on the court this year. Big East weekly honors time again and it is difficult to find a more deserving Player of the Week than Pittsburgh’s Tray Woodall. The fact that Woodall went off last week to the tune of 26.5 points, 5.0 rebounds and 4.0 assists per game would be enough to merit consideration, but the numbers are vastly overwhelmed by Woodall’s overall contribution to winning basketball. The Panthers have won four straight games since his return and have thereby pulled their season out of the dumpster. In the spirit of the Big East’s depth of youth, it is fitting that the conference named Co-Rookies of the Week for the first time since 2005-06 in Louisville’s Chane Behanan and Notre Dame’s Pat Connaughton. Both players hit for 23 points and grabbed 11 rebounds in single games last week. Honor Roll recipients were: Notre Dame’s Eric Atkins who had 18 points, five assists and four rebounds in a big win over Marquette; West Virginia’s Darryl Bryant who averaged 23.5 points, 4.0 rebounds and 4.5 assists including a 32-point torching of Providence in an overtime victory; Providence’s Gerard Coleman who averaged 22.5 points and six rebounds for the week including a career-high 30 in the loss to West Virginia; St. John’s D’Angelo Harrison who filled it up with two-game averages of 26.0 points, 4.5 rebounds and 4.0 assists; and Georgetown big man Henry Sims who averaged 13.0 points, 6.5 rebounds and 4.0 assists in a 2-0 week for the Hoyas. The latest installment of the Top 25 came out yesterday and there was not much movement at the top as numbers one through six remained unchanged, including Big East leader No. 2 Syracuse (23-1). Georgetown (18-4) hopped up two spots to No. 12 after earning two victories last week. Marquette (20-5) went 1-1 last week but slid three notches to No. 18, while Louisville (19-5), winners of five in a row on the heels of last night’s drubbing of Connecticut, suddenly find themselves surging as well as back in the rankings at No. 24. That rounds out the Big East’s representation in the poll, but perhaps not for long as Notre Dame stands next in line at 26th with the 83 votes they received. While Notre Dame is certainly savoring every minute of their shorthanded success this season, steps were taken yesterday to try to lock in some experienced depth for next year as the Irish applied for rare sixth years of eligibility for injured players Tim Abromaitis and Scott Martin. As the Chicago Tribune’s Brian Hamilton points out, when evaluating for a sixth year the NCAA normally focuses on players who have missed two full years due to injury. That is not the case for either Abromaitis, who was suspended for four games and played in two games this year before tearing his ACL, or Martin, who sat out a year due to transfer (from Purdue) in addition to missing this season with a torn ACL of his own. However there are mitigating factors in both cases that Notre Dame hopes will tip the scales in its favor. As Hamilton also points out, should the Irish secure both players for next year it will take them over the NCAA’s 13-scholarship limit, so other roster changes in the form of players paying their own way or leaving would need to be made to ensure compliance. You have to love how coaches are always coaching, motivating, and working the psyches of their players and perhaps always paranoid, invariably looking at chicken salad but seeing chicken you-know-what instead. Syracuse coach Jim Boeheim (a.k.a Jimmy Brackets) provided some tournament analysis saying there is too much parity to define any clear cut deep-run favorites. As for his own team, the 23-1 squad that is ranked second in the country, the one that is arguably the deepest team in the country, and the one that has a #1 seed in its sights, Boeheim says he is concerned about three-point shooting based on the Orange’s recent poor performances beyond the arc. Hey, in true head coaching form, Boeheim has to find something to pick on, right? The fact of the matter is if there is any team built both for the long haul of the regular season and the do-or-die tournament format, it is Syracuse. They have experience at every position and can exploit matchup issues with their surplus of depth. Furthermore, the Orange are a team that can impose their will defensively with a zone that coaches who play against it every year have trouble preparing for, much less those who might be faced with a day to figure it out during tournament play. Pittsburgh transfer Khem Birch told Alex Kline of TheRecruitScoop.com he will transfer to UNLV. Birch visited UNLV, Florida and New Mexico State last week before making his choice. “I really like UNLV,“ he told Kline. “It was a very tough decision but UNLV is a good fit for me because of the coaches, players and facilities… I can develop under a great, young coach in Dave Rice. He and the entire staff made me feel very comfortable in Las Vegas.” As a transfer, Birch will have to sit out two semesters. The timing of the decision was critical as he will be able to enroll in school for the spring semester with the intent of becoming eligible in January 2013. UNLV has two remaining scholarships that could be used to build upon what is already a monster class of newcomers: DaQuan Cook, Katin Reinhardt, Demetris Morant as well as Bryce Jones, who is a transfer from the Southern California, are all headed to Vegas next year. The buzz surrounding the two open spots involves three more heavyweights in forwards Anthony Bennett (ranked seventh in the class of 2012 by both Rivals.com and ESPN.com), Shabazz Muhammad (the consensus number one rated class of 2012 recruit) and St. John’s decommit Norvel Pelle. It will be a banner evening in Providence tonight when Rick Pitino and his Louisville club come to town to take on the Friars. This year marks the 25th anniversary of Providence’s Final Four run under Pitino and the milestone will be celebrated during a halftime ceremony. With a band of pressing, three-point shooting unknowns such as current Florida head coach Billy Donovan, Delray Brooks and Ernie “Pop” Lewis, the 1986-87 Friars captivated a region and vaulted Pitino to coaching stardom. “I have always coached every time out, no matter how much time is left in the game, feeling we could come back, no matter what the level was, or the score was, all because of that Providence College basketball team. Because they set the standard, not only for comebacks, but they set the standard for just making me believe that anything is possible,” Pitino said. The Friars defeated Georgetown, ironically in Louisville, in the regional final before bowing to another Big East foe, Syracuse, in the national semifinals. Current Providence head coach Ed Cooley will personally enjoy the moment as well. A Rhode Islander who group up a fan of the Friars, Cooley was star player at Rhode Island’s Central High School at the time. A number of team members are expected to be in attendance, including Brooks and Lewis. The Big East’s weekly superlatives have been dished out and West Virginia’s Darryl “Truck” Bryant scooped up his second Player of the Week honor. Bryant averaged 27 points per game in Mountaineer wins over Rutgers and Georgetown. Rookie of the Week went to St. John’s guard D’Angelo Harrison who averaged 21 points and 7.5 rebounds in two games, highlighted by an 18-point, seven-rebound effort in an upset road win over Cincinnati. Big East Honor Roll recipients this week were: DePaul guard Brandon Young, who averaged 24 points per game including 26 in a win over Pittsburgh; Notre Dame forward Jack Cooley who is starting to become a regular around here; Rutgers guard Eli Carter, who followed up his Rookie of the Week honor with more strong play; Seton Hall guard Jordan Theodore, who averaged a double-double for the week (16.5 PPG, 10.0 APG) and Syracuse guard Brandon Triche who filled up the stat sheet (16.0 PPG, 5.0 RPG, 3.5 APG) to help keep the Orange unbeaten. Say what you want about the overall quality of the Big East this year as compared to recent seasons but one thing is for sure, nobody can ever rest on their laurels, lest they find themselves on the short end of an upset loss. It was another turbulent week in the conference as evidenced by the latest Top 25 poll. The only constant of course has been Syracuse (17-0), who was pushed at times on the road by Providence and back home against Marquette, but held firm to their undefeated record and #1 ranking. The Orange have really separated from the back as they now represent the Big East’s only resident of the Top 10. Connecticut (12-3), behind losses to Seton Hall and Rutgers, plummeted nine spots to #17. Georgetown (13-2) lost at West Virginia and slipped two notches to #11 as a result. Louisville’s (13-3) double overtime loss to Notre Dame cost them three spots as the Cardinals slid to #14. Marquette (12-4) took two losses last week, and therefore did not hold their ranking, falling five spots to #25. OK, enough of talking about teams that are struggling. How ‘bout those Pirates! Yes, Seton Hall (14-2) coming of a 2-0 week that featured wins over then #8 Connecticut and on the road against Providence, broke in at #24 and is ranked for the first time since 2001. Midway through December and it has already been an eventful college basketball season. Teams have logged a fair sampling of games as they head into final exams and finish up the non-conference portion of their schedules, so we thought it would be a good time to assess the state of the Big East by comparing each team to… itself. Below is the Preseason Big East Coaches’ Poll by projected order of finish. We are going a little Jim Cramer on you (BooYah Skee-Daddy! ), placing a Buy, Sell or Hold rating based on the team’s play to date versus preseason expectations. Cincinnati held a press conference to discuss the suspensions it issued to four players following the ugly brawl that occurred in the waning seconds of an almost equally hideous 76-53 loss to cross-city rival Xavier on Saturday. The precedings included remarks from head coach Mick Cronin, who noted the suspended players will have to earn their way back if they want to play once their suspensions end. Each of the four suspended players (Yancy Gates, Cheikh Mbodj, and Octavius Ellis received six games while Ge’Lawn Guyn will sit out one) were present to give their public apologies. Gates, who had one of the most active and high profile roles in the fracas throwing several punches, one of which bloodied Xavier’s Kenny Frease, appeared genuinely apologetic and regretful, ultimately breaking down in tears while taking questions. Particularly when noting references to his being a “thug” and a “gangster”. “I want to apologize really to the whole city of Cincinnati for my actions,” Gates said, “The actions that I displayed are not what I’m about. This is not what the University of Cincinnati is about. It’s not what my family’s about.” Gates, a senior, also said he feared his actions may have led to the end of his collegiate career. Should all players earn their way back after six games, they would be available to play on January 4 at home versus Notre Dame, after missing just one Big East contest on New Year’s Day at #15 Pittsburgh. The Bearcats’ first short-handed test takes place Wednesday at Wright State (4-6). A few people involved in Saturday’s Cincinnati – Xavier fight-marred game learned on Monday that they escaped further diciplinary action. That would be the game’s referees. Reggie Greenwood, the Atlantic 10 conference’s coordinator of officials confirmed that the game’s officiating crew–Mike Roberts, Tony Crisp, and Jeff Anderson–would not face punishment in connection to Saturday’s events. The trio was subject to criticism for their handling of the game, including strong commentary from Cincinnati head coach Mick Cronin. “They were sent into an ambush,” Cronin said. “They had no idea they were walking into it.” Cronin indicated in a press conference on Monday that typically with heated rivalry games between Big East and Atlantic 10 teams (Cincinnati-Xavier, Providence-Rhode Island, Villanova-St. Joseph’s) at least one member of the officiating crew has experience with such games, but that was not the case on Saturday. He also said that there was conversation with the referees throughout the game about handing out technical fouls to minimize some of the outbursts and trash talking that had started prior to tip-off. Cronin indicated a referee told him to do so would include some of his players receiving techicals and that he urged the official to give technicals to anyone on his team that deserved one in order to prevent things from escalating. This week’s Big East awards are out and West Virginia’s Darryl “Truck” Bryant has earned Player of the Week honors. Bryant scored a career-high 27 points, including five threes, in a win over Miami on Saturday. He averaged 25.5 points and four rebounds in a 2-0 week for the Mountaineers. For the second consecutive time Providence forward LaDontae Henton took home Rookie of the Week accolades. Henton averaged 17.7 points, 9.3 rebounds, and 2.3 blocks in three Friar victories, including a career-high 21 points versus Boston College and a double-double (13 points and 12 rebounds) to go with five blocked shots against Bryant University. Leading the Honor Roll recipients this week is Seton Hall’s Herb Pope who is playing as well as anyone in the conference right now, averaged a double-double for the week (25.5 PPG, 10.0 RPG) in two Pirate wins. Rounding out the Honor Roll were DePaul’s Cleveland Melvin (21.3 PPG, 6.7 RPG) who had a career-high 30 poins to go with eight boards in a win over Chicago State, Louisville center Gorgui Dieng (16.0 PPG, 12.0 RPG) also scored a career-high this past week, netting 18 in a win over IUPUI, Marquette forward Jae Crowder (16.5 PPG, 6.5 RPG) who buried a game winning three-pointer in the Golden Eagles’ 79-77 victory over Washington, and Notre Dame forward Jack Cooley who stuffed the stat sheet to the tune of 22.0 points, 11.5 rebounds, and 3.0 blocks in two badly needed Fighting Irish wins. The latest rankings are out and your Syracuse Orange (10-0) are the nation’s #1 team on the heels of Kentucky’s thrilling loss to Indiana on Saturday. This has to be especially sweet for Jim Boeheim and company given all of the non-basketball related news that has swirled around the program with the sexual misconduct against former assistant coach Bernie Fine story. Louisville (9-0) moved up one spot yet again this week to crack the top four. Connecticut (8-1) knocked Harvard out of the polls with their victory over the Crimson last Thursday but it was not enough to improve their own raking, as they remain at #9. Marquette (9-0) and Pittsburgh (9-1) also stood pat at #11 and #15 respectively while Georgetown (8-1) jumped up two spots to #16 by virtue of taking down Howard on Saturday. As for the latest in the Bernie Fine case, Onondaga District Attorney William Fitzpatrick participated in an online chat facilitated by a Syracuse newspaper, The Post-Standard. Our personal favorite exchange in this chat had nothing to do with the case. A participant named “John” asked “Why are you doing this today? Isn’t enough, enough already?” To which Fitzpatrick cordially responded, “Don’t read it.” In terms of relevant content, Fitzpatrick revealed that he has not had any contact with the Fine family saying, “No, I have not attempted to interview the Fines out of respect for the federal investigation.” Fitzpatrick also clarified neither ESPN nor The Post-Standard would face charges for failing to turn over the now infamous recording of a 2002 phone call between one of the accusers, Bobby Davis, and Fine’s wife, Laurie. However, he reiterated a previous point that he would have liked to have seen Bobby Davis turn the tape over to authorities instead of any media outlet. Fitzpatrick went on to note that the length of the federal investigation should not be used to handicap the case as to whether or not they have collected or will collect enough evidence to arrest Fine. A lot of the college basketball world was in action on Friday and we have just 27 games tipping off on New Year’s Day. However, a handful involve some pretty good teams. A number of games are on Sunday but not many happen to be compelling matchups. All rankings from RTC and all times eastern. An important game for both clubs, this one tips at a strange time (10 am local) on New Year’s Day. West Virginia suffered a surprising loss to St. John’s at home earlier this week and doesn’t look like a vintage Bob Huggins team. The Mountaineers have struggled a bit with defense and rebounding, two staples of Huggins’ coaching career. They rank just #278 in defensive rebounding percentage and aren’t as strong inside as they have been. West Virginia fouls a lot, leading to foul problems and many free throws for the opposition. Marquette will look to take advantage of that with their free throw rate against, ninth in the nation. Look for the Golden Eagles to have a significant edge at the line as a result. A big part of WVU’s struggles has been the reluctance of Kevin Jones and Deniz Kilicli to explode and become big time players. Jones is still a good player but he hasn’t improved to the point where most expected him to. One player who has is Casey Mitchell, averaging 17 PPG which leads the team. The Mountaineer offense is very efficient (#9 in the country) due to effective point guard play from Darryl Bryant. “Truck” sets the tone for a very good half court unit. West Virginia does rebound well on their end, resulting in a lot of second chance points, but their defense and rebounding on the other end of the floor has let them down. St. John’s put up 81 points against them, a stunning number for a team that isn’t considered an offensive powerhouse by any stretch. Marquette will look to push the ball and work it inside in order to get easier looks and be fouled. Buzz Williams has an undersized team but they do a great job of using their athleticism by getting in the paint and creating good looks. MU gets 62% of their points inside the arc and is #11 in the country in two point percentage. They have a good turnover margin as well and will look to get points in the paint through lots of transition opportunities. Jae Crowder has added another dimension to the Marquette attack, giving them a good scorer inside and out as well as a solid rebounder. He and Jimmy Butler will be key players for the home folks today. Perhaps the most encouraging sign for Williams is the play of Darius Johnson-Odom over the last two games. His struggles from three have been well documented this season but he’s hit seven of his last eleven trifectas. Keeping that hot shooting going will be tough against West Virginia’s #4 rated three point defense but you have to think DJO has some good vibes now. Marquette’s three point defense isn’t very good but they must try to contain Mitchell on the wing. This should be a fairly close game but we like the Golden Eagles to win at home. Nobody knows how the players will react to such an early start but Marquette is playing better right now and should take this one. This matchup has turned into a really good one with the surprising success of Notre Dame. The Fighting Irish picked Georgetown apart (no small feat) earlier this week and will look to grab a big time road win on Saturday afternoon. The keys here are Notre Dame’s rebounding and three point shooting. The Irish run a great offense at a relatively slow pace and will have to get comfortable in the half court against the Syracuse zone. If the three’s are not falling, this will be a long game for Mike Brey. However, we think they will and Notre Dame has an excellent chance to go into Syracuse and grab a win. Notre Dame is an experienced squad and knows what they need to do here. Tim Abromaitis and Ben Hansbrough will look to shoot over the 2-3 zone while Tyrone Nash will play a big role inside against Syracuse’s Rick Jackson. Nash is the best player in the country at drawing fouls, an important statistic against Jackson and Kris Joseph (52 points in his last two games) inside. If the Syracuse bigs are in foul trouble, Notre Dame has a tremendous chance to win. As a team, the Irish are one of the best at getting to the line and keeping their opponent off it. Their free throw rates are very good on both ends so Syracuse will have to get it done shooting the ball from the floor. That’ll be tough against a Notre Dame team coming off a tremendous defensive performance against the Hoyas. Each team takes good care of the ball so turnovers don’t figure to be a huge factor in this game. The rebounding battle may decide the outcome. Both teams do a nice job on the glass but Jim Boeheim has the best rebounder on the floor with Jackson in the middle. He averages 12 RPG and can single handedly carry the Orange to victory. Getting the ball to Jackson on offense falls to Scoop Jardine, a very good point guard averaging six assists per outing. This is a great matchup between two teams that should contend for a double-bye at the Big East Tournament in March. Syracuse will be favored and obviously has a good chance to win but we’re going to go out on a limb here and take the Irish in an upset on the road. Although the 2K Sports Classic benefiting Coaches vs. Cancer was granted an exception, tonight is the NCAA-mandated start of the college basketball season. Here are five games to keep an eye on this evening. Rankings as per the latest RTC Top 25. All times eastern. Perhaps the most anticipated game of the night features two teams starting a new era without their best players. Gone are Greg Monroe of Georgetown and Gerald Lee of Old Dominion, but each team returns its four other starters. Both teams are known for playing excellent defense and a slower tempo style, so tonight’s game figures to be in the 50s or low 60s as a consequence of that. Among the Georgetown returnees are Austin Freeman, the Big East preseason POY, and senior point guard Chris Wright. Freeman is a terrific all-around player and a major threat from the three-point line for the Hoyas. If you’re looking for a good indication of the final result during the game, look no further than the enigmatic Wright. In games where he scored ten points or less last year, Georgetown was just 3-7. 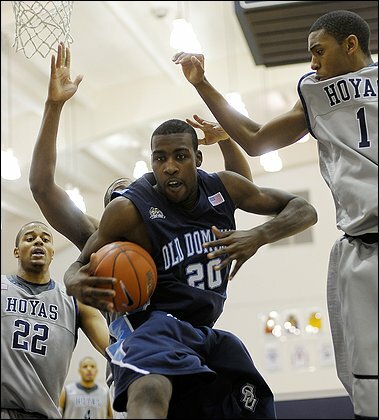 When he had at least 11 points, the Hoyas were 20-3. In contrast to past Georgetown teams, this group of Hoyas will run their offense almost exclusively through their backcourt. Freeman, Wright and Jason Clark are arguably Georgetown’s best players and none of them happen to be taller than 6’3. That isn’t to say Georgetown has nobody up front. Julian Vaughn returns for his senior season after transferring from Florida State at the conclusion of his freshman year. Last year against Old Dominion, Vaughn had 13 points on 5-8 FG. Gerald Lee was saddled with foul trouble and thus a non-factor in the game (six points and only one rebound). 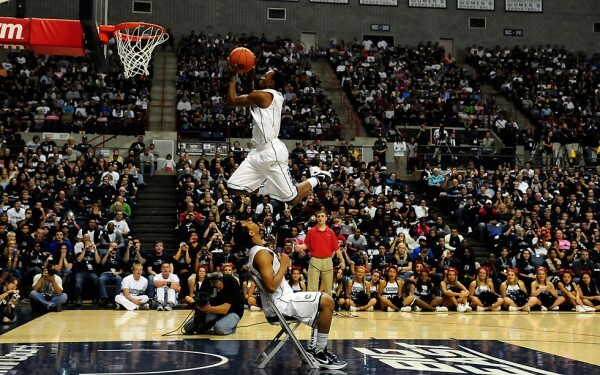 With Lee now departed, Vaughn may have another good game in the paint for Georgetown. For the Monarchs of ODU, four starters return from a 27-win team that advanced to the second round of the NCAA Tournament. Their key players in this game will be Frank Hassell battling inside with Vaughn, point guard Kent Bazemore and Ben Finney who had 13/6/5 assts the last time these teams met. That last meeting was on campus at Georgetown, a game won by the Monarchs. In fact, the visiting team has won every game in this series since it started in the 2006-07 season. Bazemore is an interesting player. He’s a lefty point guard (there are actually two other lefties on the ODU roster) who shot the exact same percentage from the floor and the free throw line last year (48.6%). For Blaine Taylor’s team, free throw and three-point shooting could cause major problems in this game, especially against a defense as tight as Georgetown’s. Keyon Carter is Old Dominion’s best returning three-point shooter and he only shot 34.7% from behind the arc last season. This should be a hard fought, close game that may come down to the final possession. Georgetown was a difficult team to prepare for last year as they had the talent to beat both NCAA finalists Duke and Butler, but also lost games to the likes of Ohio, Rutgers and South Florida. Good guard play and a solid effort from Vaughn should allow Georgetown to grab a nice road win to start the season. For ODU, Hassell must contain Vaughn while Finney and Bazemore have to hold their own against Georgetown’s vaunted backcourt. If Taylor’s team can hold the Georgetown backcourt in check, look for the Monarchs to pull out a win. We hate to go cliché but that’s easier said than done. The last time Northern Iowa won a game, this happened. Times have changed as Ali Farokhmanesh, Adam Koch and Jordan Eglseder have graduated. This is Kwadzo Ahelegbe’s team now. The senior averaged 10.6 PPG last season and now anchors a relatively young team. Against Syracuse’s strong 2-3 zone tonight, Northern Iowa must work the ball into the paint and free throw line area effectively. To do that, sophomore Jake Koch must start to become the impact player coach Ben Jacobson hopes he’ll be. Playing largely behind Eglseder last year, the Ashwaubenon, WI, native only played 13.6 minutes a game last year. He’ll be counted on for much more this time around, along with Johnny Moran and Lucas O’Rear. For UNI to win tonight the guards must be on fire shooting over the zone and Koch has to avoid foul trouble. The Panthers have nobody else on the roster 6’8 or taller who saw any significant action last season. Look for Syracuse to take advantage of that and eat Northern Iowa alive in the paint. The player most likely to do just that is freshman stud Fab Melo. At 7’0 and 265 lbs, Melo is a force inside for which UNI has no answer. You could see a really big freshman debut for Mr. Melo this evening. Syracuse just has too much up front for Northern Iowa to contend with. Rick Jackson, Melo and everybody’s favorite breakout candidate Kris Joseph should dominate at home for the Orange. The backcourt tandem of Brandon Triche and Scoop Jardine only adds to the ‘Cuse’s talent and depth (we haven’t even mentioned their bench). Both can play the point and shoot it well from the arc. All in all, Jim Boeheim’s club just has too much talent for Northern Iowa tonight. We’d be surprised if the final margin was less than ten points.